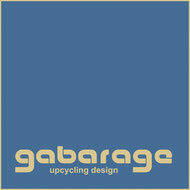 Apart from private customers, garbarage appeals to businesses that want to take social responsibility in the sense of csr. Are you looking for trendy give-aways or gibts for your customers and employees? Unique upcycling-furniture? Which materials or objects do you dispose of? Do you have leftover materials, erroneous products or rejected goods that you want to have a second product cycle? We create innovative products from your leftover materials that can be put to practical usage and stand for design, ecology, and social responsibility, either for your business itself or for third parties. The list of our successful partnerships is very long. For examples, please see the hotel “Binder”, which is described in detail here. Diese Maßnahme wird aus Mitteln des Europäischen Sozialfonds, des AMS Wien und der SDW gefördert.